James Patrick Page is an English musician, songwriter, and record producer who achieved international success as the guitarist and founder of the rock band Led Zeppelin. 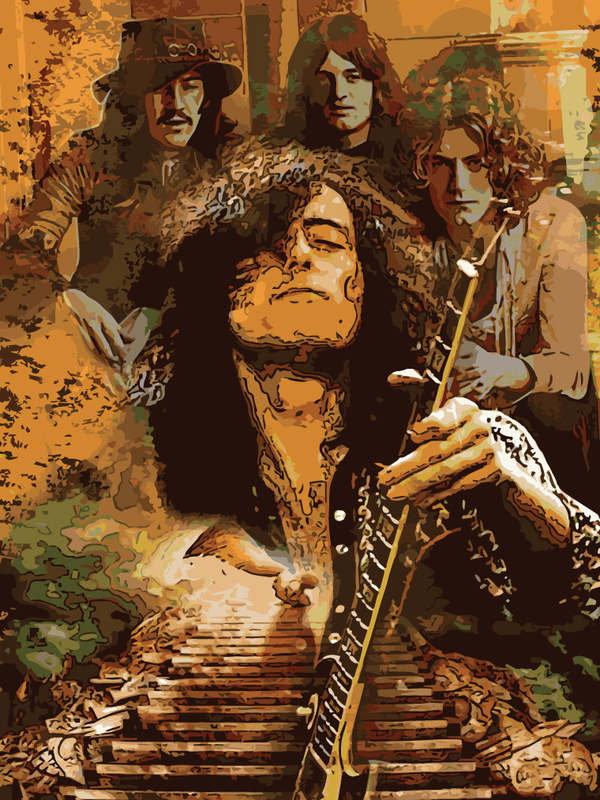 Page began his career as a studio session musician in London and, by the mid-1960s, had become the most sought-after session guitarist in Britain. He was a member of the Yardbirds from 1966 to 1968. In late 1968, he founded Led Zeppelin. 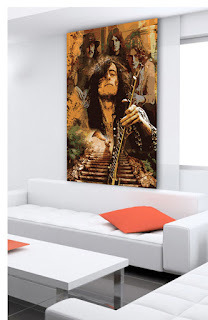 Metal print in modern living area. Page is widely considered to be one of the greatest 100 Greatest Guitarists of All Time. In 2010, he was ranked number two in Gibson's list of Top 50 Guitarists of All Time and, in 2007, number four on Classic Rock's 100 Wildest Guitar Heroes. He was inducted into the Rock and Roll Hall of Fame twice; once as a member of the Yardbirds (1992) and once as a member of Led Zeppelin (1995). Page has been described by Uncut as “rock's greatest and most mysterious guitar hero.” Los Angeles Times magazine voted Jimmy Page the 2nd greatest guitarist of all time. In 2012 the three surviving members of Led Zepplin (Page, Plant, and Jones) were named as 2012 recipients of Kennedy Center Honors, an annual honor given to those in the performing arts for their lifetime of contributions to American culture.